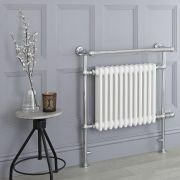 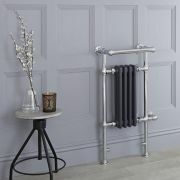 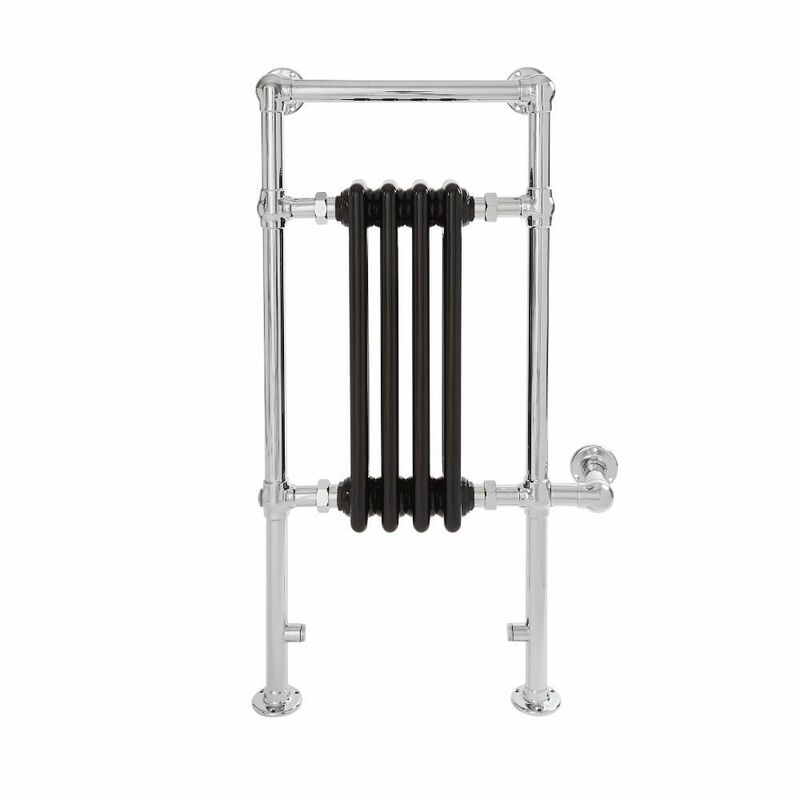 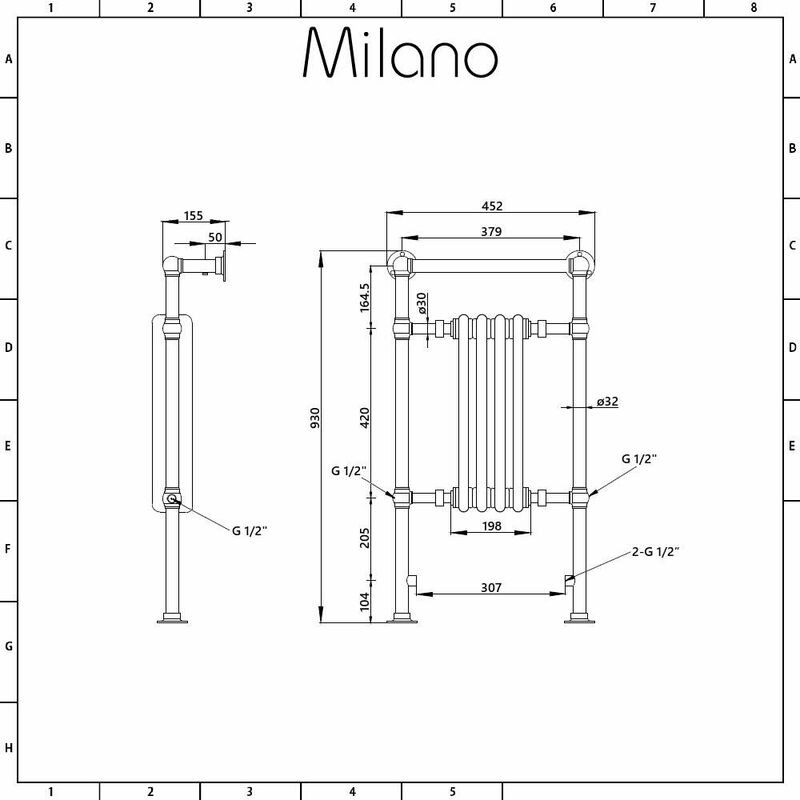 Bring luxury and elegance to your bathroom with the Milano Trent 930mm x 450mm traditional electric heated towel rail. Supplied with an IP67 rated 400 Watt heating element, this electric towel radiator will heat your bathroom to a comfortable warmth and keep towels luxuriously warm without the use of central heating. 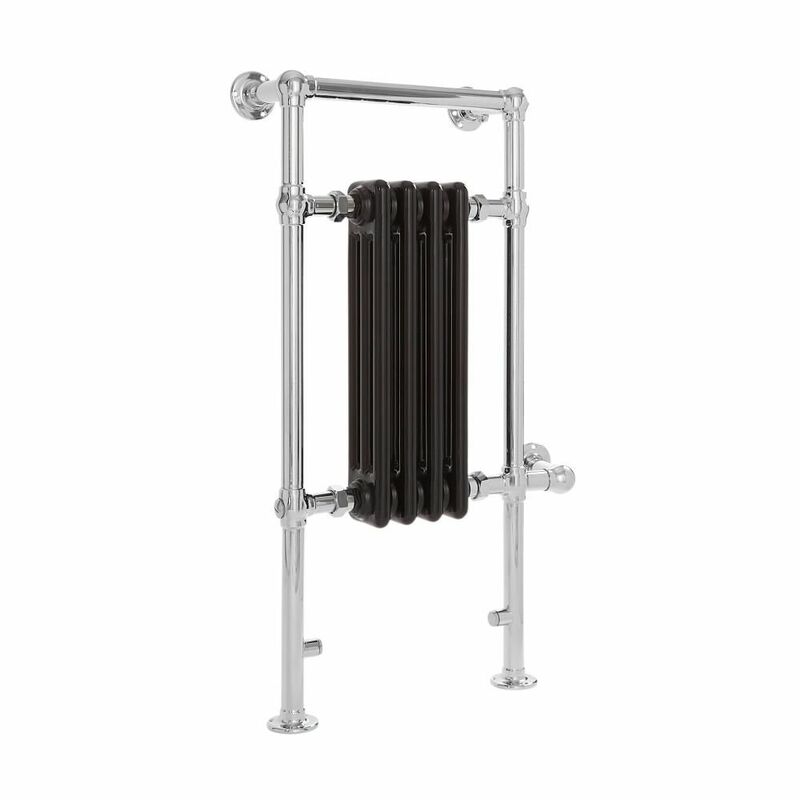 Made from premium quality steel, it features a black and chrome finish and a classic design. 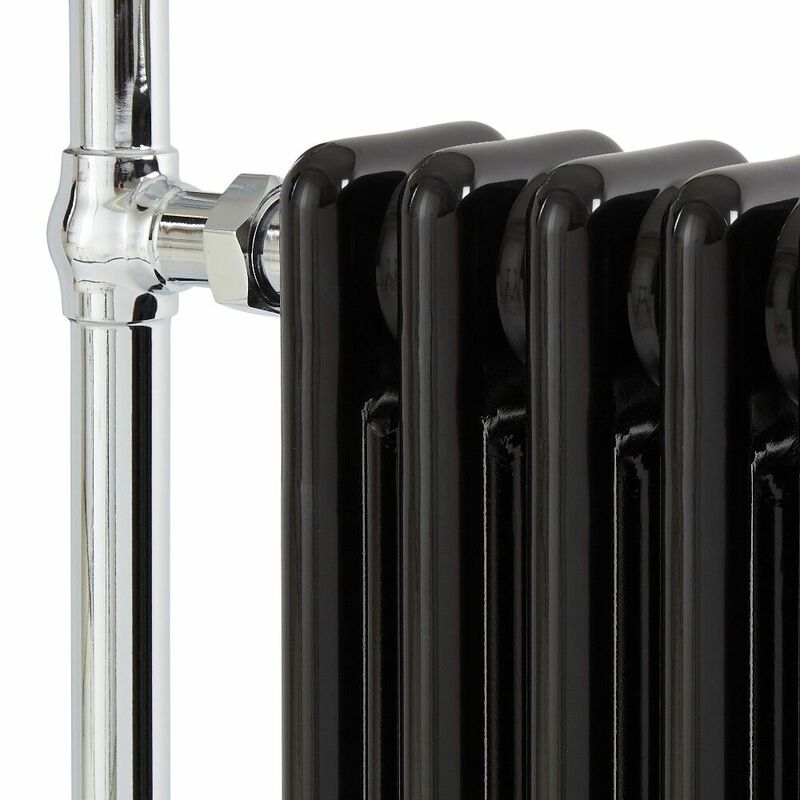 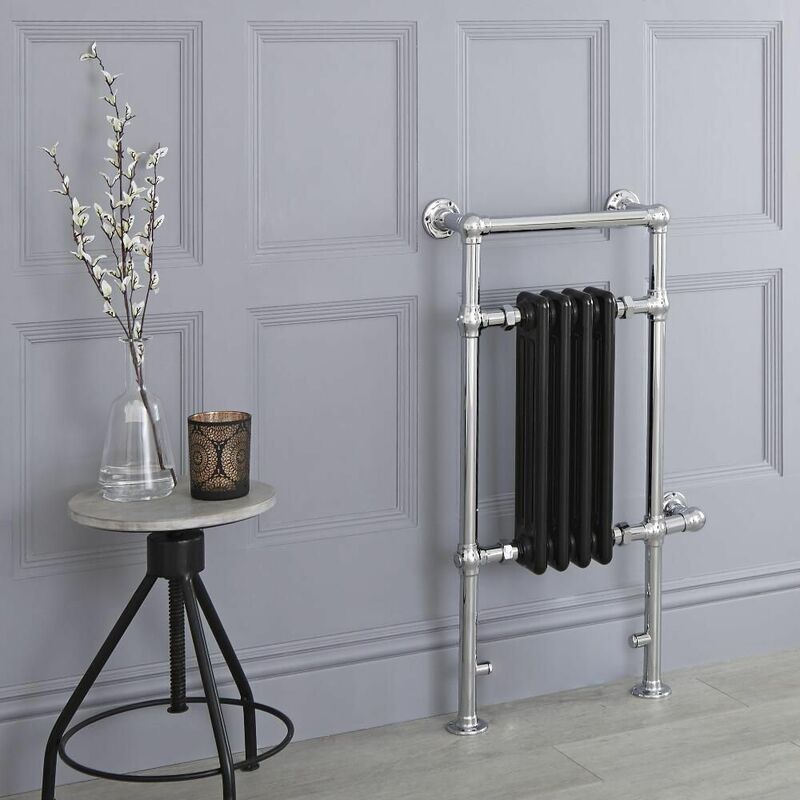 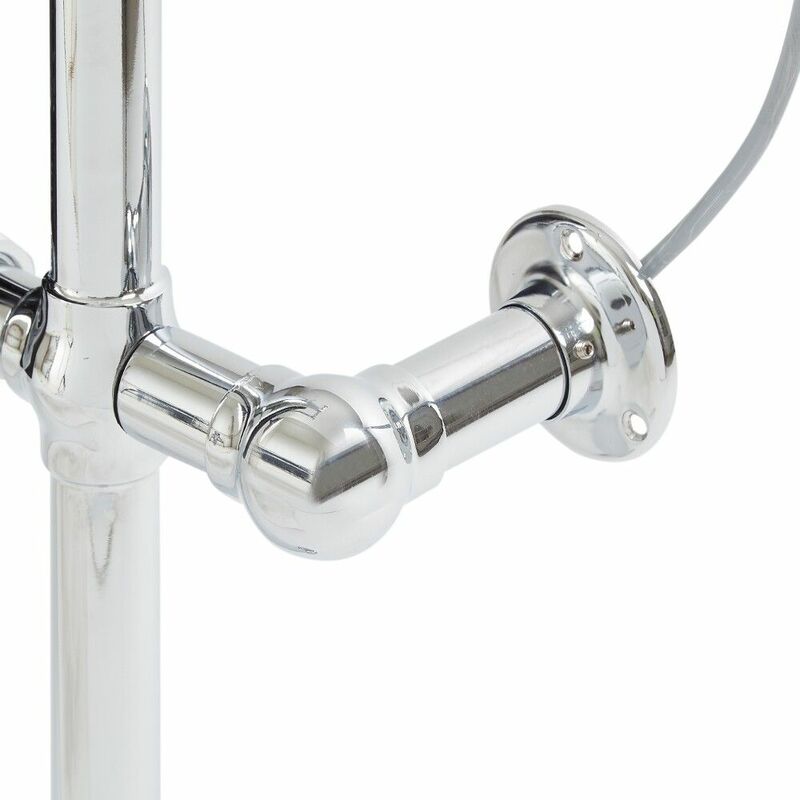 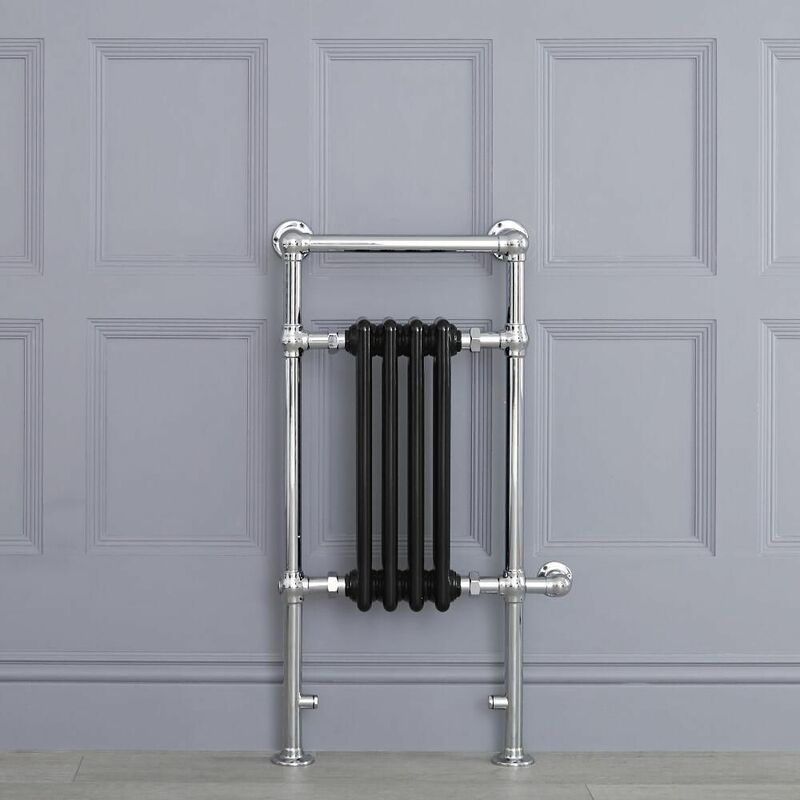 Designed to fit neatly inside the radiator, the heating element has a high ingress protection rating against water and dust, which means you can install the towel radiator as close to your shower or bath as you like. 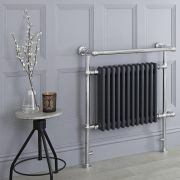 Suitable for connection to external timers and switches, the heating element and wire are encased in a robust brass cable masking cover, allowing for a seamless traditional look with the convenience of modern electric heating.